Now a day’s laptops are very useful to students to learn new things and also for officers to do their work or job through laptops. So many professionals are going to store their entire project details and its information on their personal laptops. Even so many people like marketing agencies may have a chance of losing their jobs once you lost your laptop. What happens if your personal laptop is lost or stolen? Doesn’t worry for every problem in the world has a solution. Are you worrying about losing your laptop then what you have to do is just install the tracking software on your laptop then it will trace its location if your laptop is lost or missing. 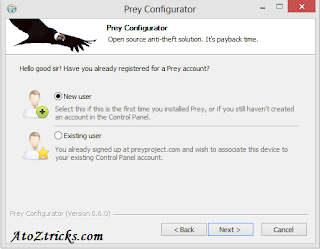 Note: You must and should install the prey software before your laptop has been stolen by someone or lost so it is very easy to trace your lost or stolen laptop. you may give complaint to police to track your missing laptop or tablet or mobile phone. But for doing this you must and should install this Prey Software. You can download the Prey software from here by clicking image or the link given below. It Supports for Windows, MAC, Android, iOS. 1.After downloading Just select New User and Click on Next. 2. Afterword’s enter your contact details like name, email address, password and computer name and click on create. “Configuration updated! Your device is now setup and being tracked by Prey .Happy hunting. Once your account is activated it will start tracing your devices when you changed setting as MISSING in the control panel. Click on Save to save all settings. If you want to trace your laptop then just change from OK to Missing Option in Prey Control Panel. After few minutes It will show you the location. Whenever your missing laptop is connected to the internet it will also show their Photo and also Desktop screen. Desktop Screen is also used to keep track of email accounts or facebook id details or any other details of the person. Just check out these Snapshots to know More detailed. 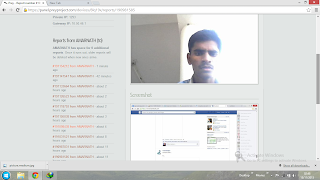 It will trace out the location and his image along with first connected webpage whenever he connects to internet.Through we can find out the Email address or username . According to my point of view the biggest power drop is due to screen brightness. So reduce the Brightness to lower level that you are comfortable to do work. No need to sacrifice your eye for the sake of just half an hour extra battery. But my suggestion is to reduce screen brightness as much as you are willing to do work. Reduce your sound volume instead of keeping maximum Sound. Even when you are using Head phones try to reduce it also helps you in hearing also. Modern devices are searching automatically for Wi-Fi signals and Bluetooth Devices. Turning off your Bluetooth and Wi-Fi also helps you in extending battery life if you are not using Wi-Fi and Bluetooth. You must and should make the ports empty when not in use. 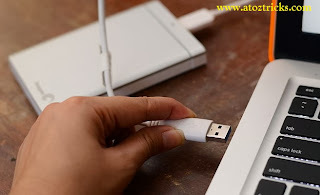 If you are not using wireless mouse or keyboard then remove adapters to the ports it also extends battery life. DVD’s should also be removed when not in use. Close all the unwanted programs which you are not goinig to use .Habituate to maintain a single window when you are doing a single work. It also extends your battery life. If you want to store simple information like phone number of some one or any information which will he useful for you then use Notepad Rather than Microsoft Word because Microsoft Word takes much RAM. 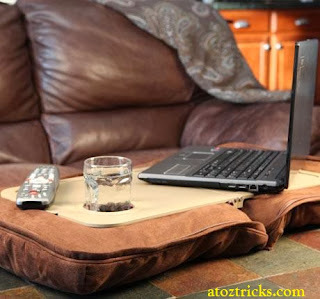 Make use of your laptops to use only in room tempatures instead of Extreme temperature places. 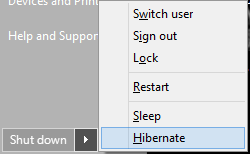 If you are not planning to work for a time use hibernate instead of standby standby continuously wastes your battery time. Don’t place your laptops on pillows or blankets or any other soft surface because it produces more heat.better to place your laptops on Desks. You must and should unplug the charger whenever the battery is full and used it upto 80% and then start plugging the charger. If you use your laptop for too long it could overheat and slowly damages the components and it also makes less life time. type ping facebook.com in the command prompt it shows the IP address as shown below. Here type Ip address in the address bar it open automatically the facebook page. Every one knows that URL shortners are used to make the long URL to short URL.Here URL shortner site allows you to bypass te security settings. Here in the First trick I told that If website URL is blocked then you can access using the IP address but if Ip address is also blocked means then you may use Decimal code.Decimal codes are nothing but conversion of IP address. You can also access blocked sites through the Decimal number also. But to get Decimal number you must and should know the IP address.you can convert the IP address to Decimal using this tool. Hola is a browser extension which allows you to browse internet anonymously.Hola browser extension is available for all the browsers. You may download the Hola extension from here. At present Google and bing providing a translation service converting webpage from one language to another language.To access this blocked site from the server just type the URl of blocked site which you want to access and convert into any other languages.Using this translation service you can convert webpage into another language and access its content. Wayback machine is an online service which is going to keep track of the copy of the websites from when it is started.Using this Website just enter URL and click on Date that’s it you can access that blocked website.If you are not getting clear idea. Email the web is a free service which sends directly to your mailbox.To get the webpage via Email then you need to register to the Email the Web site and enter the Website URl and enter email-address and you are completed. Using VPN is the best way to access blocked sites.It allows you to browse internet anonymously ,just download and and install on your PC. There exists both paid and free version. Every website will have a cache on Google.To access that website through cache is very simple Just click on the Cachedpages.com and enter your blocked URL.It will display your Blocked Website from Cache. 3.By Default It will selects the Windows 8 flag as shown below. 5.Afterwords Start button will be appeared as shown in below screenshot. 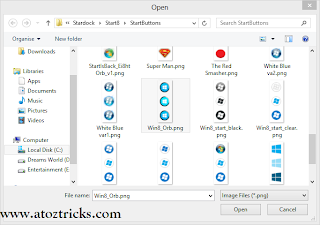 This is simple way to get the start button and you customize your selected button as start button. 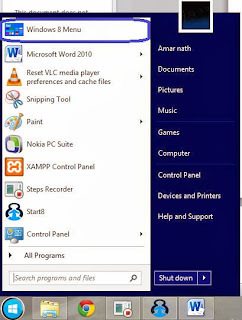 6.So many People are bothering that if I install the start Button then There is no chance of using apps through metro graphical user interface start screen.Don’t Worry This software includes a Option called Windows 8 menu in the start button itself.For more details see below screen shot. 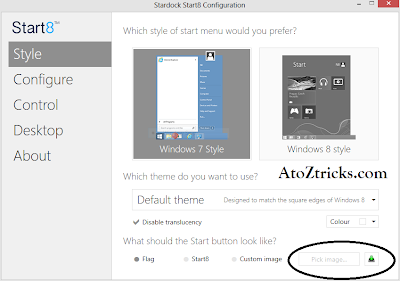 7.If you Click on Windows 8 Menu It will show the Windows 8 Start button with the tiles. It’s Better to increase the RAM size because entire processing of a system is based on RAM. For an ordinary computer 1GB of RAM is enough. If you increase the RAM the speed is also increased. 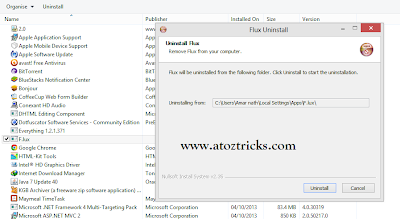 Just remove/Uninstall all unwanted software’s on your computer which are not used by you because whenever you install OS by default there exists a list of list of softwares installed on it. 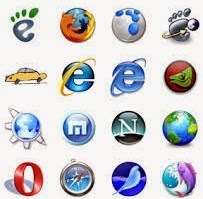 If you are using more than one browser like Google Chrome, Mozilla Firefox, Internet Explorer, Safari and so many it’s better to use one or two . Remove all unwanted or unsed ones. if you are using more than one chatting software’s like G-talk, yahoo messenger and so many its better to use one all in chatting messenger like Instant Messenger. Every shortcut icon on Desktop consume 20Kb of RAM.If there exists more number of icons on Desktop is going to effect on your system processing.Keep Less icons on Desktop for easy navigation. 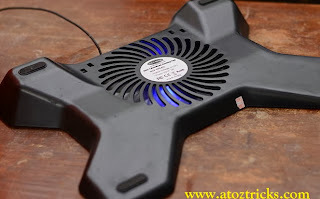 Usage of Cooling fans will be best for avoiding the problem of OverHeating.you must and should provide good ventilation for PC’s and also maintain room cool to perform better. also Advanced System Care are the best. Is your System is taking more booting time for start up then start applying this tweak.Lesser the start up program then greater will be the system speed and its performance. b)Run box will be opened.type “msconfig ” without quotes in the run box and hit enter.it will take you to the system configuration.Then select on start up tab. 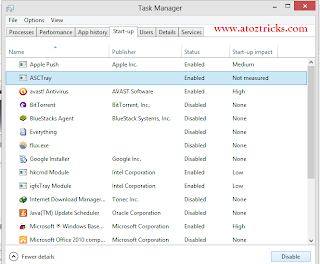 By default start up tab is available in task manager. 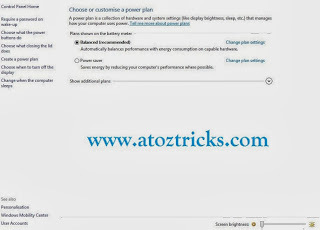 Afterwords Select the unwanted programs which are not to load the start-up and click on Disable.just restart your computer it will show a better improvement compared to previous booting/start up time. Windows will store some temporary files whenever you are performed some task.Deleting those files will improve your System Performance during normal usage. 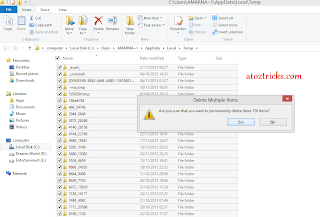 Follow some steps to remove temporary files. 2.Type “%temp%” without quotes and it will take you to temporary files and folders location. 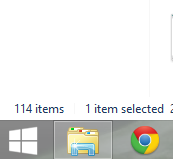 Just select all files and delete all the temporary files which are deletable and left it which are not deletable. Now a days No file is safe on Internet,So many people are creating virus to exploit thw windows OS.So better to use a good and Genuine Antivirus. It is one of the Most popular website to send free SMS to any mobile/Networks in India.This site can send SMS within India only. This website is highly popular because it offers an excellent Fast delievery and also better &amp; good user understandable interface such that anyone can understand very easily.160by2.com is having some limitations like It allows only 160 characters limit for standard SMS and 140 characters limit of 140 characters. This is also one of the best website to send Unlimited SMS all over the world. It is free of cost. It offers around 200 countries to send international SMS. This website also have an extra feature i.e,, Sending Picture Messages and it is also free of cost. This website offers you to send SMS with a 300 characters limit. Way2Sms is one of the best website to send Free Messages within India. It is highly Popular because it takes less than 10 seconds to deliver your messages. It has some excellent features like Contact management, Every contact will be stored and it also offers you to send by group. offers subscription.you may get free E-mail alerts once you subscribed to Way2sms.It also Provide chatting With G-Talk and yahoo friends using Way2Sms. It is also one of the Popular site to send Free International SMS all over the world. But It allows only 22 countries. It offers you to send Picture messages. It also offers you to send SMS Via MSN Messenger. This is highly best Website compared to all other websites. It provides many features compared to other Websites.It is Quite Different Option compared to others. It has a limitation to send only 440 characters. It also offers you to schedule messages. If you want to send SMS day after tomorrow then here you can schedule here. I think it’s the best feature because if you forget to wish him on Birthday when you have some urgent work then Your friend may disappoint on you for not wishing. So it’s better to schedule the messages. Allows you to create Phone Book like contact management as same in Way2Sms. You can also Send your SMS by group also. Indyarocks is very Popular within Short time. Because it offers you to schedule messages .Once you type the Message and Set the desired date then your message will be sent on specific time.This make Indyrocks highly Popular. It also Provides you to send SMS within India with free of cost.It provides also you some messages for special events like Independence day and so many as in Way2Sms and 160by2 .It has an additional feature compared to other is it has online music songs and you can live stream your selected audio songs while sending SMS. This is also Popular website all over the World.It provides very better Features compared to others. It has a highest charcter limit of 700 characters. It also supports to send Picture Messages. It has also has an extra feature i.e., to share from your computer. It provides the Unlimited messages. It is one of the highly best websites which is used by Educational Instuitutions and many others only in India.